A few years back I donated an egg to my sister who was struggling to fall pregnant. Here is our little Eloise today. I cant wait to get to know her and for her to meet her aunt, uncle and cousins. 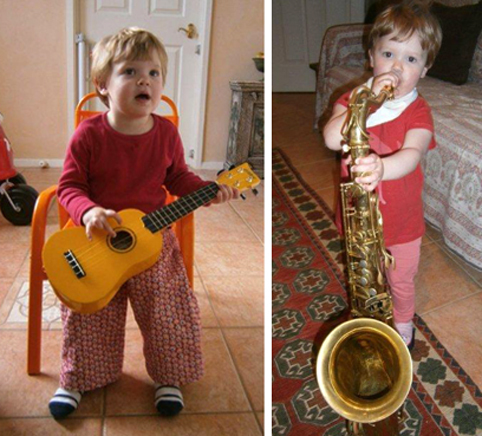 She does look quite a lot like I did at that age, but obviously the musical talent came from Glen's side.